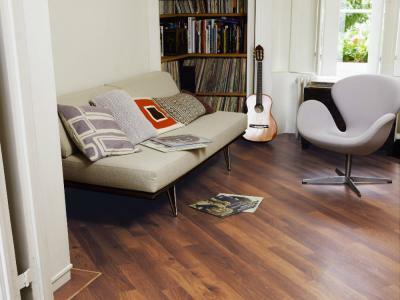 Karndean Design Flooring is the natural choice for your home. Rather than looking uniformed and manufactured, each plank or tile of Karndean flooring has its own individual appearance to help create a flooring as unique as you are. You can create an even more individual looking floor by laying the flooring at different angles or patterns or choosing finishing touches such as borders or inserts to create a truly customised look. Unlike carpets, Karndean Flooring doesn't harbour dirt, dust mites or bacteria and is resistant to stains and water spillage, making it the ideal choice if you've got a young family or pets. Karndean Flooring is extremely resilient. Residential guaruntees start from 12 years and rise to 20 years for the Art Select and Da Vinci premium ranges. It's hard to find a carpet with the same durability!